Here are the top ten American aces based on their recorded kills or enemy planes that they shot down. As Hanson’s posthumous Medal of Honor citation states without reserve, he was a bold, fearless, and aggressive fighter pilot who shot down a total of 25 enemy aircraft. 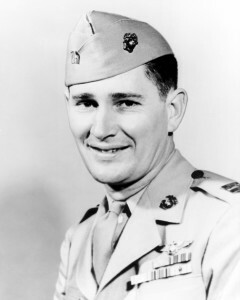 Hanson, who had spent most of his youth in India as the son of Methodist missionaries, got his wings and a Marine Corps commission in February 1943, at the age of 23. In the next year, before being shot down by Japanese flak on February 23, 1944, a day before his birthday, Hanson took out 25 Japanese aircraft. In one mission, he shot down four Mitsubishi A6M Zeros. In a six-day stretch, he shot 20 enemy planes out of the sky. 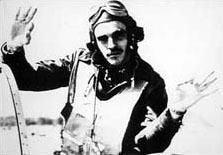 Foss, with 26 confirmed kills, ranks number nine on the list of U.S. fighter aces of World War II, but he holds the honor of being the Marine’s number one ace of the war. Foss worked harder than most to become a pilot, helping run the family farm after his father died, working side jobs to get through high school, college, and flight training, and having to fight the Navy and Marines’ age restriction to becoming a fighter pilot at the age of 26. 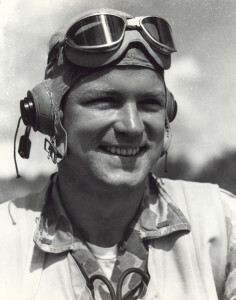 Foss, serving with the VMF-121 Marine fighter squadron, led eight Grumman F4F Wildcat fighters, which became known as Foss’s Flying Circus. His squadron was crucial to the U.S. victory over Japan at Guadalcanal, where his actions earned him the Medal of Honor. He later became governor of South Dakota. 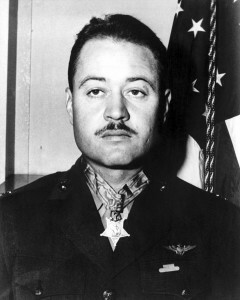 Medal of Honor and Navy Cross recipient Gregory “Pappy” Boyington also had 26 confirmed enemy craft shot down during duty with the U.S. Marines in World War II. However, interestingly enough and perhaps why Foss is credited as the top Marine fighter pilot of the War, Boyington also served with the 1st American Volunteer Group, known as the Flying Tigers, fighting Japan for the Republic of China before the U.S. entered the war. 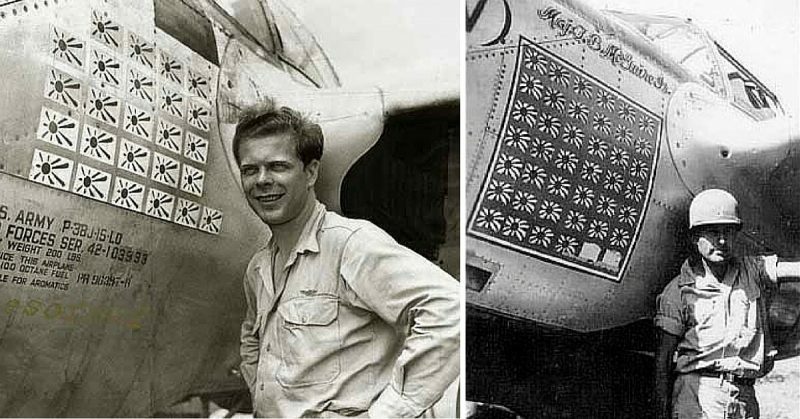 As a Flying Tiger, he shot down two confirmed enemy aircraft. Boyington was a pilot for the Marines, then went to fight in China, and then joined the Marines again to fight for the U.S. in the Pacific. The Navy and Marines were in need of experienced pilots and Boyington earned his nickname “Pappy” as he was around a decade older than most of his fellow fighter pilots. 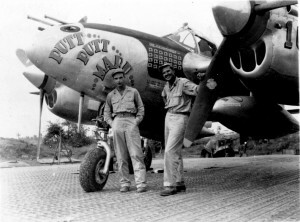 Preddy, the first U.S. Army Air Force pilot on our list comes in at number seven with 26 kills. Preddy served in the defense of Darwin, Australia, damaging two Japanese aircraft. He was transferred to Europe where he became the top U.S. ace flying a P-51 Mustang. In one day, Preddy shot down six German Luftwaffe fighters. On Christmas Day, 1944, while chasing a Focke-Wulf Fw 190, just above the ground, Preddy was accidentally shot by U.S. anti-aircraft fire and killed. His brother, William, who was also a pilot, was killed almost four months later and buried alongside him. With 27 kills, MacDonald rings in at number six all around and number three in the pacific theater of U.S. fighter aces. MacDonald joined the U.S. Army Air Corps in 1938 and was stationed at Pearl Harbor when the Japanese attacked on December 7th, 1941. MacDonald flew a P-38 Lighting, the same kind of versatile, long-range plane sent on the mission to shoot down the plane of the notorious Japanese Admiral Yamamoto.